Stay in this fabulous Peak District cottage. Byre Cottage is a great place to get away from the hustle and bustle of town life, yet still be within easy reach of places to visit within the Peak District. Byre Cottage was formerly a derelict barn but has now been converted into modern, warm and cosy holiday accommodation. The cottage is centrally located between Bakewell and Buxton. 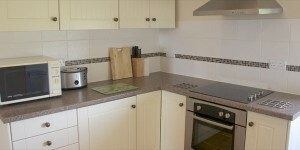 Entry is via the main door on the ground floor where the two bedrooms and bathroom are situated. 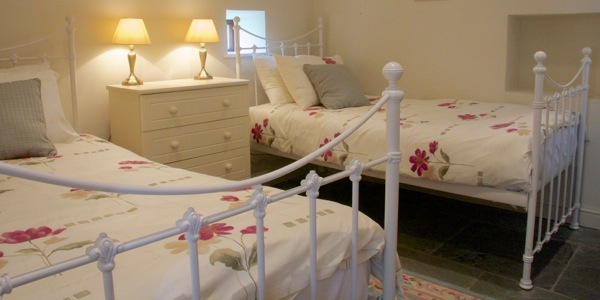 Byre Cottage sleeps 4 in one double room and one twin room. 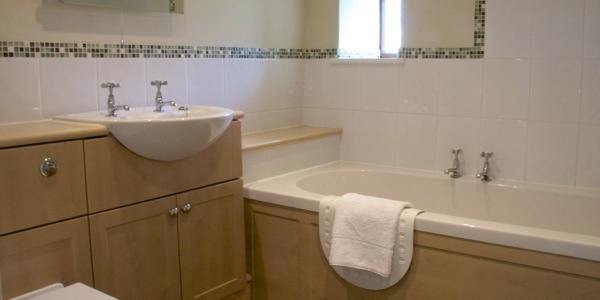 The bathroom has a bath, shower, sink, WC and heated towel rail. To make best use of the light and airy first floor, the open-plan kitchen, lounge and dining area are all upstairs. Windows on all sides provide 360 degree views of the surrounding countryside. The open-plan living, dining and kitchen area allows all the family to share time together no matter what they are doing. Outdoors, there is a dedicated patio area for the cottage with outdoor furniture and access to a BBQ. 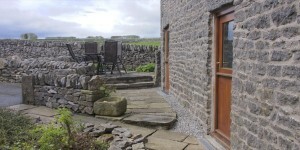 Byre from Peak District Holiday Cottage on Vimeo. Heating is provided by an eco friendly ground source heat pump which supplies the underfloor heating throughout. A wood burning stove provides a cosy feel, although we doubt you will need the extra warmth! (logs supplied). Free WiFi is provided throughout this Peak District cottage. 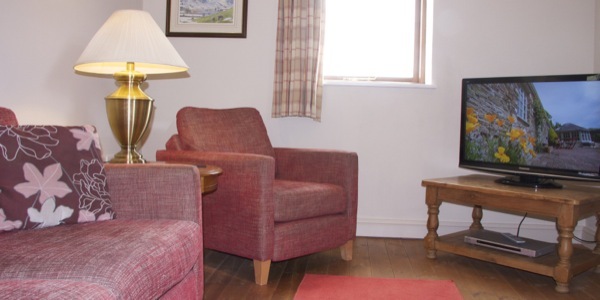 The cottage also has a 37″ HD Television with built in Freesat providing 150 stations (TV & Radio) including high definition channels and a DVD player.